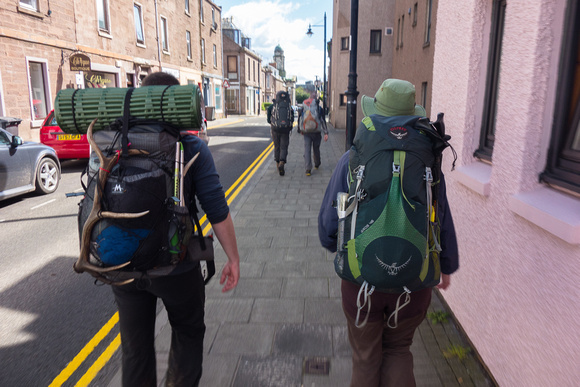 Well, we are back, and the TGO Challenge seems such a long time ago now! Other than the odd mention here, I’ll be doing a separate post on gear used on the challenge and how it fared. We arrived in Glasgow On May 3rd, about a week before the start of the Challenge. Our plan, which worked brilliantly btw, was to spend much of the intervening time on the Isle of Skye, staying at a cottage on the Waternish Peninsula. But first, we had to pick up the hire car and make our way there. At the desk, we asked about a GPS for the car and found out that there is no discount for long term hires: around £11 per day and £350 odd for the month we were to have the car, No way! After loading our excessive luggage into the back of the Ford Focus diesel wagon, we made our way to the closest consumer electronics store and marched out the door with a TomTom Smart 25 UK/Ireland GPS Unit. £99 spent, and it performed a treat for the whole trip. Worked out under £3 per day and we got to keep it at the end. Bargain! Day 1. 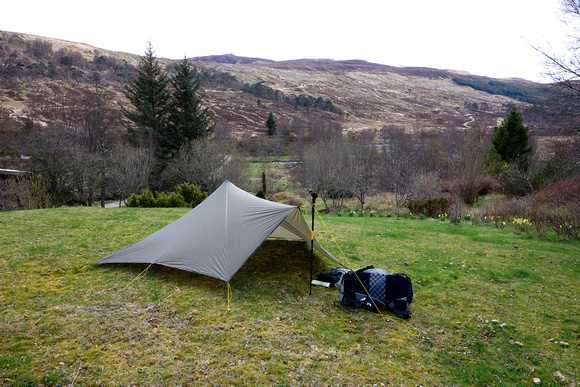 Dornie to Wildcamp by the Abhainn Gaorsaic. On the morning of the 10th May, we got up early having carefully packed, checked and double checked my gear the night before. 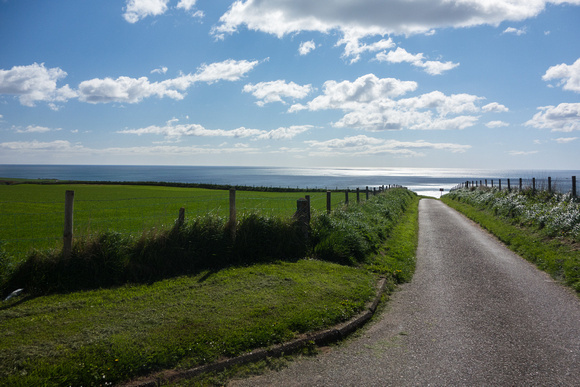 The drive from Waternish to my start in Dornie is about 1.5 hours and I wanted to be there around 8:30 in plenty of time for the sign-out beginning at 9AM. This was achieved with minimal fuss and I was standing in the water on the Dornie boat ramp signed out and ready to go a few minutes after 9:00. My route that day turned out to be quite solo. 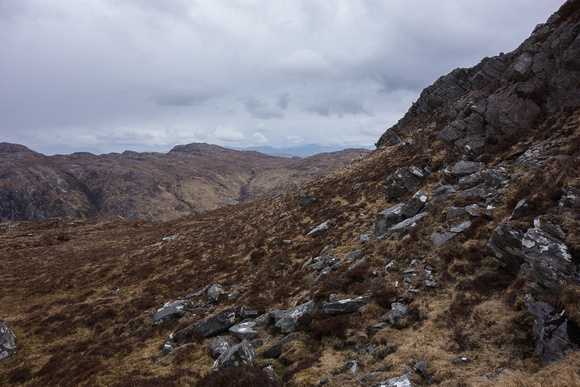 Due to the late winter and predictions of poor weather a month before the event I had changed my route from the popular hike up to and then up beside the Falls of Glomach to a path along Loch Duich and up onto some peaks (Sgurr na Seamraig, Sgurr An Airgid 840m), down past the top of the falls and then along the valley to find camp by the river Abhainn Gaorsaic. 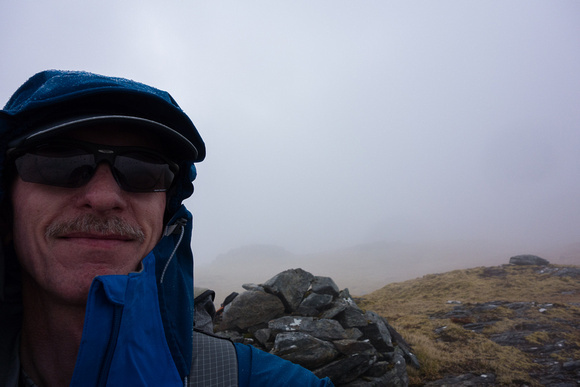 This was a pleasant hike in mostly sunny circumstances until I approached the peaks whereupon I was treated to low clouds, sleet and hail. 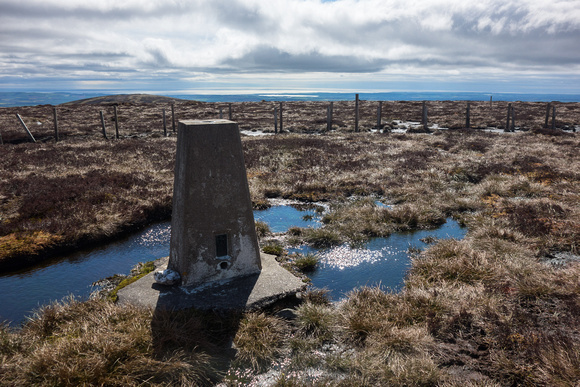 There had been a suggestion that the pathless terrain up to the peaks would be wet and difficult (the most common approach is from the pathed east side), but in fact I found it relatively free of bog and welcomed the opportunity to give my legs a workout up the moderate slope. As in all my off-track walking I fell back to my standard of using the GPS for location and route planning and my compass for execution. The only tricky part was choosing the route up onto the upper plateau as the ground became quite steep and there were some areas that would turn into difficult climbs. 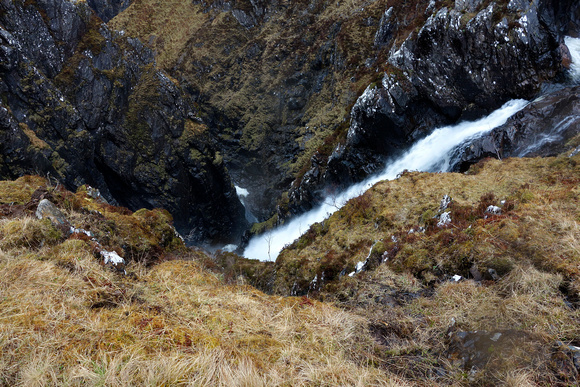 On the way down to the top of the Falls of Glomach, I met William Burton from Barbados. William and I had had some email conversations previously regarding the challenge and it was good to see him, however he was coming towards me, uphill, with rather a large pack! As it turned out he was walking on his route. Such is the variety of routes that it is not uncommon to meet a challenger who is heading off in a quite different direction to the one you’re on, but I don’t think I have ever met someone going the opposite direction before. After perusing the top of the Falls of Glomach, (Deep and scary! 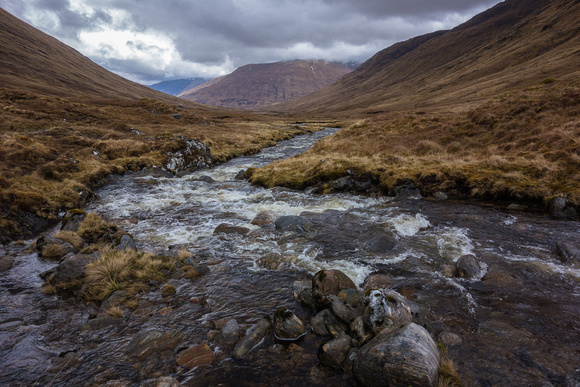 ), I made my way along the valley, crossed the Abhainn Gaorsic and just as I was selecting an area to make camp it started raining. When I say raining, I mean it was really pelting down! I found a good spot and set my shelter up with it’s tail into the wind for best protection and was pleased to get out of the soaking rain. As luck would have it, after dinner, I had to re-don my waterproofs as the wind had turned 180 degrees and the TrailStar was billowing like a parachute. There’d be no peace unless I reset it facing away from the wind and rain, which I hastily did. Despite the continued lashing of the wind and rain most of the night, I slept well! Day 2. Abhainn Gaorsaic to Cougie Lodge. 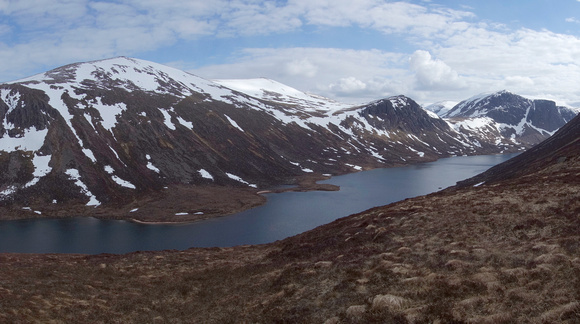 My plan today was to ascend the mountains to my east and spend the day walking the tops beside Glen Affric. As soon as I looked outside however, I knew there was no way this was going to happen. Not only was it was still raining, but the clouds were moving past what I could see of the tops at a frighteningly rapid rate. Didn’t look like it would be possible to even stand up there, forget walking the tops! My fallback ‘FWA’ (Foul Weather Alternative) was to continue beside Abhainn Gaorsic, past the Alltbeithe YHA and into Glen Affric. Stopping somewhere short of Cougie Lodge. I had breakfast, packed my kit and set off. 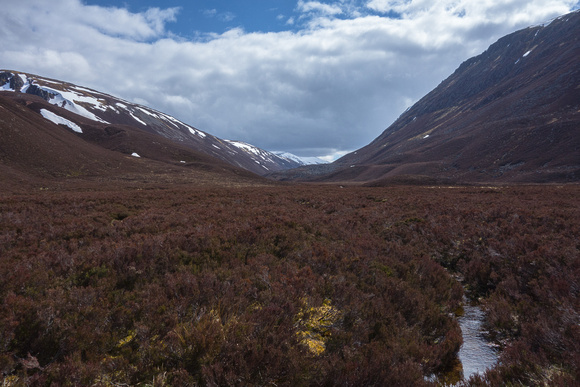 From where I had camped, there was about 3.5km of untracked valley to negotiate before reaching the path beside Allt Gleann Gniomhaidh leading to the YHA. 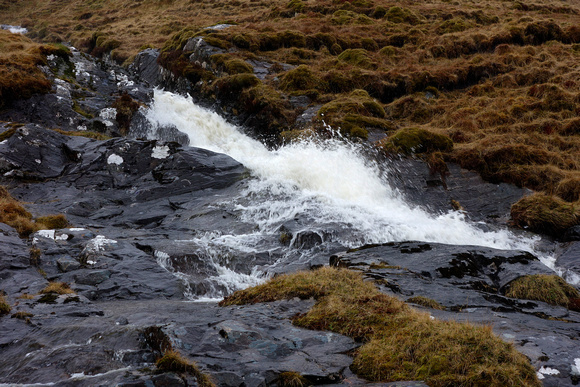 The going was relatively flat over rough ground but very wet with streams ripping down from the nearby tops. Luckily, the streams were not wide but the flows were ferocious so I had to take extreme care choosing my crossing points and performing the crossings. Often I had to traverse upslope looking for the best spots. Some I just took a run up and jumped, others I found usefully placed rocks in the stream that I could use as stepping stones. I got wet, but I did not fall in or get drenched. My feet remained dry which I found out later is not something many other Challengers could say about their feet that day. 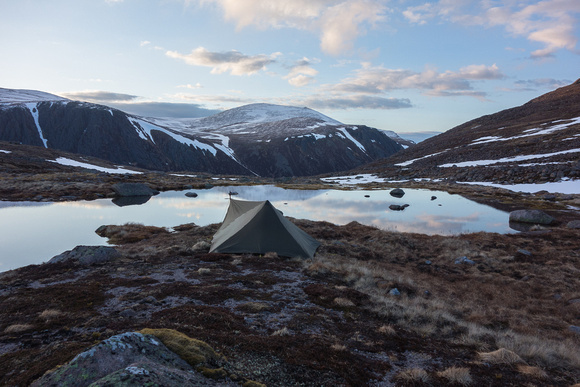 Shortly after leaving camp I noticed another TrailStar pitched on the other side of the Abhainn Gaorsic but there was no sign of life there, the occupant probably still fast asleep! Soon after reaching the top of the path, I met a couple of daywalkers who had come from Alltbeithe, and reached Alltbeithe itself around 11:30am. More daywalkers were there heading up to the tops. I wished them luck! Continuing on towards Glen Affric I stopped for lunch and shortly was surprised by Robert Slade, who turned out to be the owner of the TrailStar I had seen earlier. 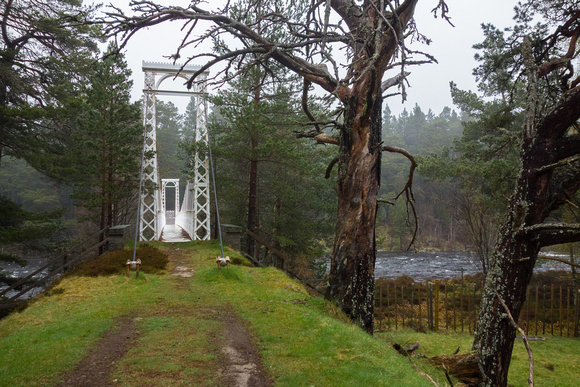 We had met in 2010 as well as at Dornie this year and spent a couple of hours catching up while walking along the paths into Glen Affric until my turnoff towards Cougie Lodge. Some time later, Lou and Phyllis arrived and took one of the rooms in the Lodge. Sadly, Lou and Phillis struggled through most of the Challenge but were unable to complete a few short kilometers from the finish! Day 3. Cougie Lodge to near Drumnadrochit. I slept well on the nicely grassed and seemingly regularly manicured flat area above the Lodge. I was woken by the manicurists – half a dozen large ponies doing their equine thing and cropping the grass all around the shelter. Once awake, I lay there quietly not wanting to disturb them and lose the moment. Eventually they moved on and I got about breakfast and packing up. On the trail late, 9AM. 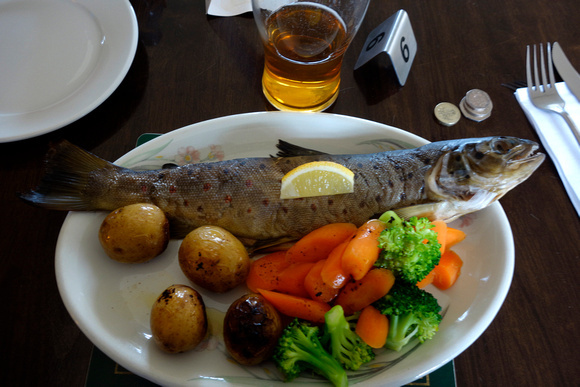 Made my way into Cannich and surprised myself arriving in time for lunch – ducked into the Slaters Arms and had ‘Fresh local Trout’ £9.90 Fabulous! Too early to stop at Cannich which was my original plan, so headed off towards Drumnadrochit on my day 4 path and planned to stop around 4PM. Walked through Shewglie and continued on the forest and farm tracks, avoiding the main road. Around 4PM, didn’t see any inspiring camp sites so continued and eventually rejoined the road still looking for somewhere nice to stop. Eventually spied a suitable spot and put down my pack, checked for mobile signal of which there was plenty! Rang my wife who would have been in Drumnadrochit by now and we decided that seeing it was Mother’s Day in Australia today we should go for dinner. So I was picked up, transferred to the lodgings and we were dining at the Loch Ness Inn in no time! In the morning I was duly transferred back out to the spot I was picked up from and walked in to Drumnadrochit and down to Temple Pier. This was to make logistics easier the following morning when I had booked a place on the ferry. Spent the remainder of the day doing touristy things and picking up some replacement gloves – the ones I had started with were sodden and they took too long to dry. The walking improved from here, I’d had enough of bitumen by now! My path took me up through the peat and heather down to Glen Mazeran, the first real heather and peat bash of the crossing so far. 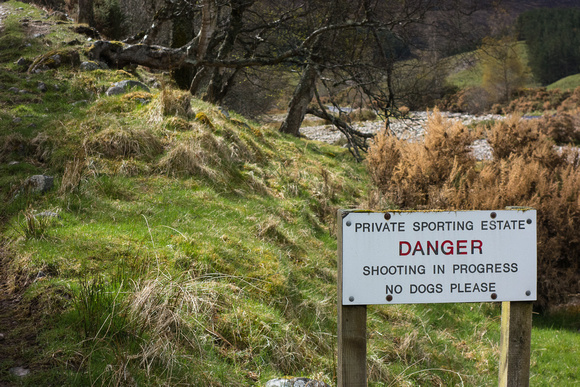 The plan was to meet the top of the Land Rover Track on the other side, but it had been extended so I didn’t see the top end of it but in any case, I found myself at Glen Mazeran too early to camp so pushed on. 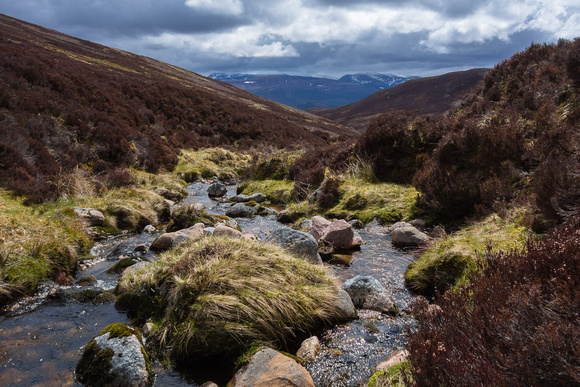 A good section of the walking was beside the River Findhorn beside which I had camped way upstream in 2010. When I reached my chosen departure point from the river, I stopped for a rest and topped up my water – been caught before. 🙂 The weather had been slowly deteriorating and a strong cold wind came up as I turned away from the river and ascended the mountains on a LRT, once again leaving the farm land behind. 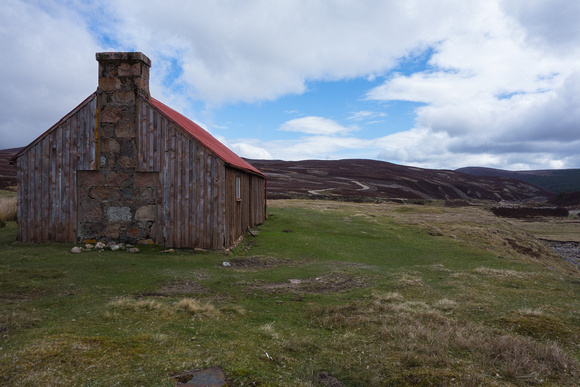 It was getting late and I was looking for a camp site but there was not much flat ground on offer – all hills and heather. As I descended on the track from one of the peaks I could see a valley ahead and hoped to find a nice sheltered pitch down there. Just around the next corner I was faced with a nice little hut. Open, unoccupied and with wood stove and firewood. Decision made, I was stopping in the hut! Today turned out to be my longest walking distance day of the Challenge: 38km. The firewood was pine which has a reputation in Australia for being fast burning with little heat. The stove had a Scandinavian looking name, and I have to say that I would have failed the scout campfire badge this time as it took a while and many matches to get the fire started. The design was different from the hardwood burning versions we have so my excuse is unfamiliarity with that type of stove. Once started, it took the worst of the chill out of the cabin, but it never got warm with that filthy cold wind outside. 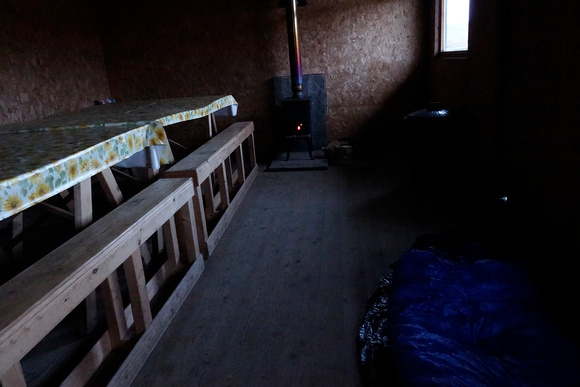 I plugged the gap under the door with newspaper, cooked dinner and slept on top of the thermarest on the floor. Day 6. Monadhliath Mountains Lunch Hut to Aviemore. After a good sleep in the cabin, I woke early, packed and was on my way before 8AM. The long walk yesterday had turned today’s walk into a 20km odd jaunt and I was happy with that shortened distance as the walking was all on hardened LRT’s and much up and down hills. As I came down the last descent towards Aviemore, I came across a stone bridge and stopped for lunch, meeting a peak bagger who told me there was a much better alternative path down from the peak of Geal-Charn Mor which I had walked beside half an hour ago. Too late. 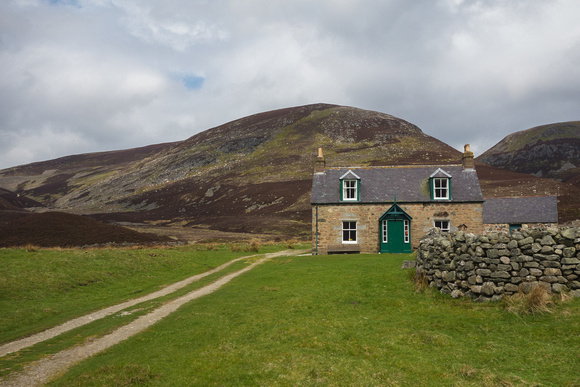 🙂 I arrived in Aviemore in the early afternoon, met up with my traveling family and stayed with them in a very pleasant restored Manse in Aviemore. Day 7. 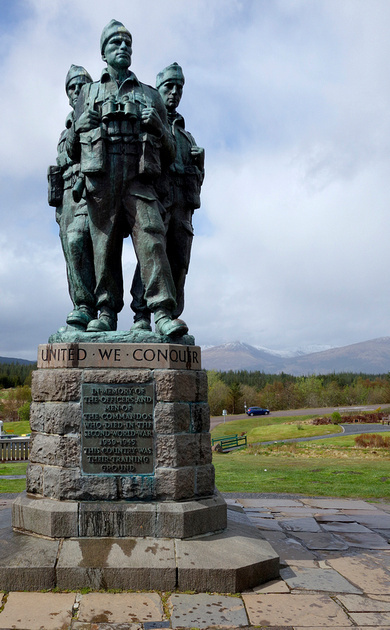 Aviemore to Loch Etchachan. After a hearty breakfast, I said my goodbyes (again!) and headed off towards Glenmore. I was feeling off, not sure if it was the rich food I had eaten for dinner and breakfast or whether I was harboring a lurgy, but I was struggling up the road with a dull headache and feeling sore. I stopped at the visitor centre and treated myself to a cuppa and cake, but testament to my feeling out of sorts, I left my walking poles there had to return to pick them up. Thankfully I hadn’t got far before the separation anxiety took hold. Anyway, the break helped somewhat and I continued on past the Reindeer centre and Loch Morlich (which I had viewed via webcam in the lead-up to our departure). I was amused to see the active sailing clubs and people gathered on the (almost) frozen beach. 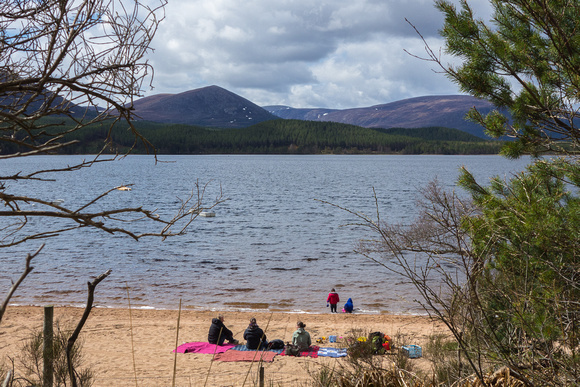 Hardy lot, sailing and kayaking in full view of the still open Cairngorms Ski Area above! 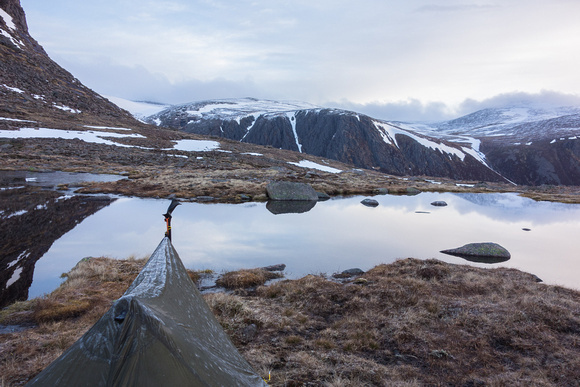 My route took me past the beautiful ‘An Lochan Uaine’ with crystal clear blue waters, and then a slog along wet and boggy Strath Nethy to Loch Avon which consumed much of the day. Trousers, gaiters and boots were all pretty much covered in mud by the time I met a group of day-walkers from Glenmore. They had left early in the morning for a ‘casual’ hike that had taken them past my preferred destination today: Loch Etchachan. Was pleased to hear that it was achievable after all the reports of late snow in the area, so rather than heading down to the Fords of Avon, I made directly for the head of the Loch. 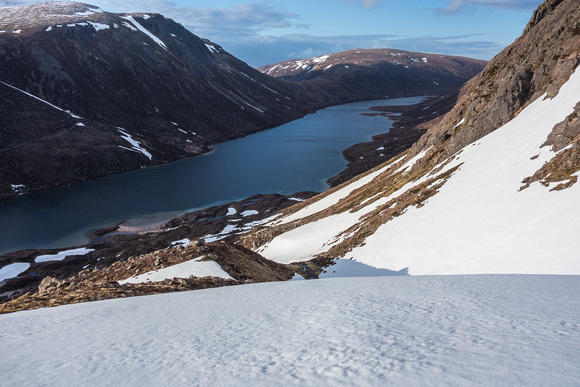 I was glad of this decision as the trip down to the fords would have cost valuable time and would certainly have made me too late to ascend to Loch Etchachan at the end of the day. 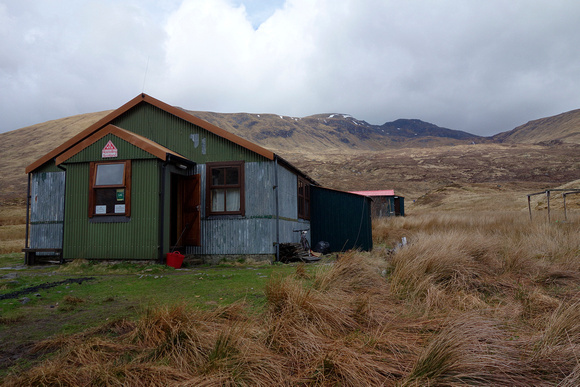 At the head of the loch, I found plenty of possible pitches, so with a fall back in place I headed over to the path up, finding two flown-in emergency shelters that would also have been suitable for overnighting in. One was less suitable as it was lying on it’s side… At the start of the climb up to the Bealach between Carn Etchachan and Stacan Dubha I was hiking up through a large boulder field and where the boulders were tipped leaving a void underneath previous visitors had assembled rocks to shelter the enclosed spaces from the elements. Not my idea of a fun night, but better than spending the night exposed outside I guess. 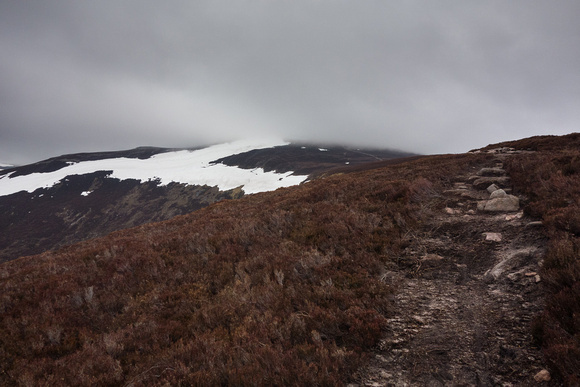 Towards the top of the climb I came across several snowfields which thankfully had been traversed by the day hikers so my task of assessing it for safety and navigation was made a lot easier. Day 8. 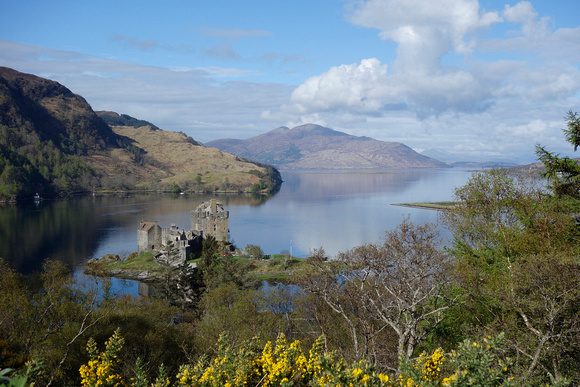 Loch Etchachan to Braemar Castle. Everything was frozen solid! I had a bit of business getting my shoes on but at least I had stored my socks under my mattress and they were dry. I heated water for a hot cup of tea and the steam immediately condensed on the inside of the shelter, so I had heavy frost on the outside and condensation on the inside! I had some heated muesli for breakfast and walked around taking a few photos, once again suffering frozen fingers in the cold. 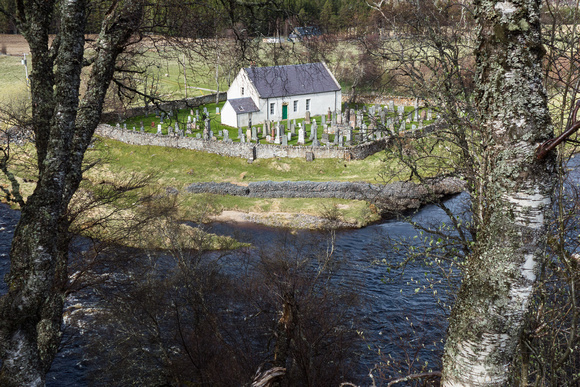 I packed up and headed off for Braemar, my destination today. 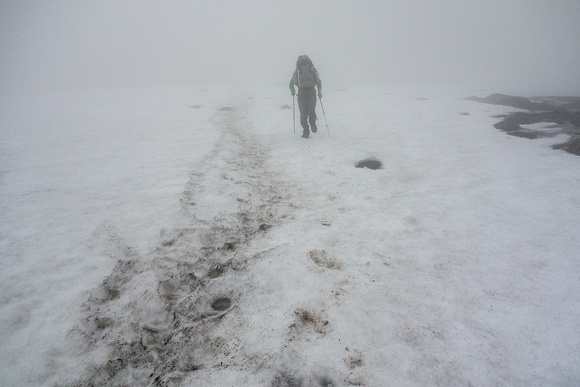 There was still quite a bit of snow to cross and I had to be careful as there could be depressions underneath the snow. The snow had refrozen overnight and was pretty solid, I also had daywalker tracks for much of the way which was re-assuring. 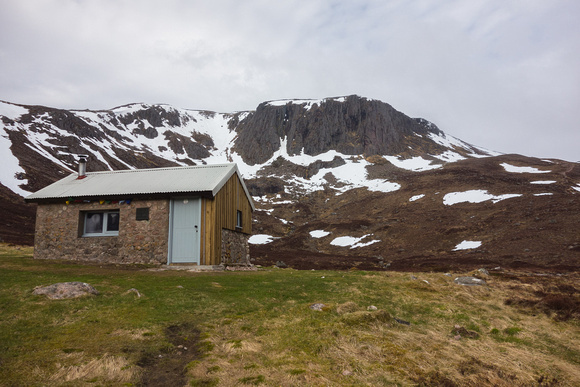 I was wearing several layers from the top and as I descended I began to get quite warm so I stopped at what I thought was the unoccupied Hutchison Memorial Hut on the way down into Glen Derry. To my surprise, as soon as I entered to porch I was greeted by excited barking of two dogs – the hut was occupied and the owners had been asleep! 8AM is a good time to wake up in the Cairngorms 🙂 I made my clothing changes, apologised and made my exit. The walk down Glen Derry was a bit of a let down compared to the day before. 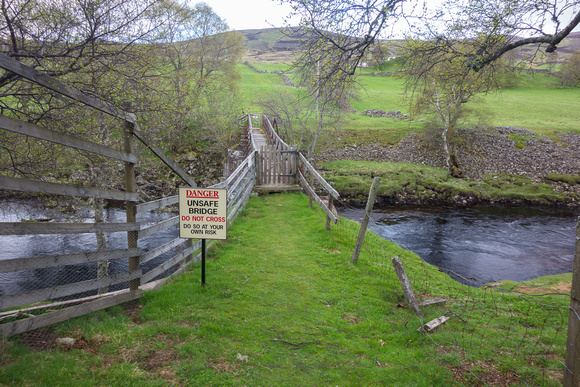 One I reached Derry Lodge, it got worse as the path became a road and I trudged on down to Mar Lodge where I stopped for a cup of tea (no biscuits! 🙁 ) I met the Best family there who apparently were doing the Challenge for their honeymoon! The time was getting on, and I had my eye set on lunch at the hotel in Braemar, so I set off at a good pace, arriving just before 2PM. By the time I got to the bar, my order was refused. Lunch stops at 2PM, no exceptions! Pox on the Fife Arms! Once again, I was too early to camp, so I headed towards Ballater, stopping at the Hungry Highlander for an awful hamburger on the way. I rang Joan and we arranged that I would walk towards Ballater and she would drive towards Braemar in a while to pick me up. I made it to the turnoff to Braemar Castle when my pick up arrived. Day 9. Rest day in Ballater. Rest Day in Ballater, we went to visit Balmoral and Royal Lochnager, had a leisurely lunch in town, and met up with Challengers at the Alexandra Hotel for dinner. Shouted Humphrey Wightman a drink for his suggestion on the message board regarding Loch Etchachan. Day 10. Braemar Castle to Ballater. 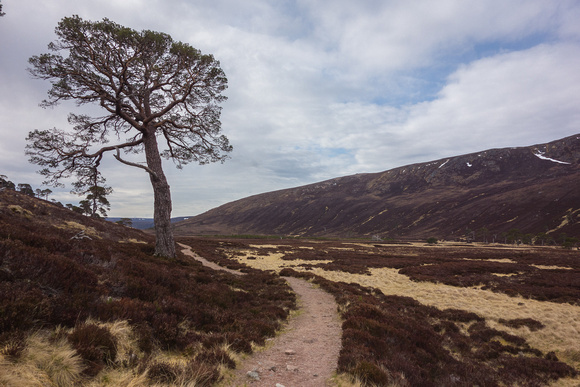 Early drop off back to Braemar Castle, and a pleasant walk along track and paths to Ballater via Balmoral. Met various Challengers whose names escape me apart from Adrian Fortune whom I had met in 2010 along the way. The views of Balmoral from the back track are better than you get with the expensive entry fee! Day 11. Ballater to Tarfside. Set off from outside the Alexandra Hotel. Destination: Tarfside via Mt Keen. Met Frederic from France and ? and we walked together although at some point we lost Frederic – he didn’t have Mt Keen on his agenda so must have turned off during one of our bog stomping episodes. As we followed the paths we noticed someone ahead carrying a large blue pack – eventually we caught up to discover Jane Eggleton who was having a hard time of it and who was planning to skirt Mt Keen, not feeling like going over the top. Jane sent us on our way, not wanting to hold us up. We made good progress to the foot of Mt Keen, but after that I started to lag and found the going less than easy. My un-named companion stayed with me to the top and surprised me by heading east towards Braid Cairn from the top instead of taking the path south. Just as well I had checked my compass before heading off or who knows when I might have realised my mistake! Once again, I was walking solo into Tarfside and saw no-one until I met Alvar and companion coming towards me, they had taken a break from the hostel duties and were off to inspect the Hill of Rowan monument. At Tarfside, I went straight to St Drostans and consumed several treats including a bacon butty and a beer. In due course the time came to depart for the campground and shelter was duly pitched. There was a steady trickle of challengers arriving, and by nighttime there was quite a few tents assembled in the campground. Dinner was taken at St Drostans consisting of more beers and baked potato with chilli beef followed by tea and cake in the drawing room. The night was finished off with a few more ales at the Mason’s Arms followed by a good night’s sleep in the TrailStar. Day 12. Tarfside to North Water Bridge. I woke late and when I poked my head around the corner of the door, half the camp ground residents had already departed! I’m guessing they got up early so they could hotfoot it down the road and enjoy a big breakfast at one of the eateries along the way. My route took me nowhere near an eatery in the morning, so I had my breakfast, packed up and headed off across the ‘unsafe’ bridge on my way to the last mountain of my Challenge: The Hill of Wirren. The walking was mostly on Land Rover Tracks on the way up, and they were generally steep. 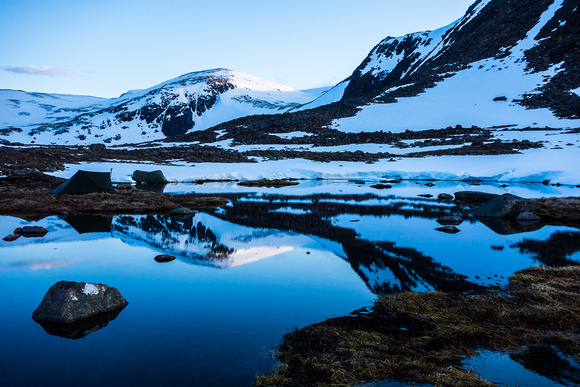 The peak itself was surrounded by electric fences and contained within a network of eroding bogs. 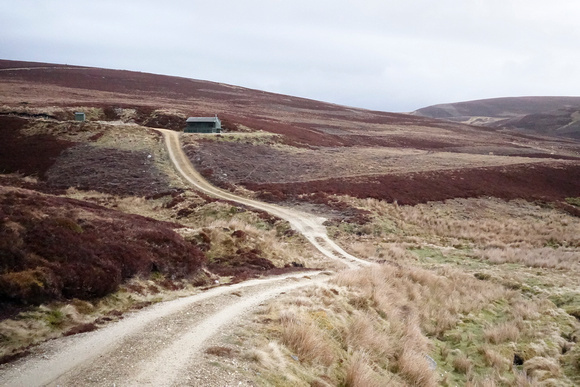 Once at the top, I took a bearing across the landscape to the top of the tracks coming up the other side and headed off squeezing between electric fences at the top and yumping across bogs and heather, making good time. I came across several Land Rovers parked up high, their occupants apparently surveying wild birds for the coming season. None returned my wave. 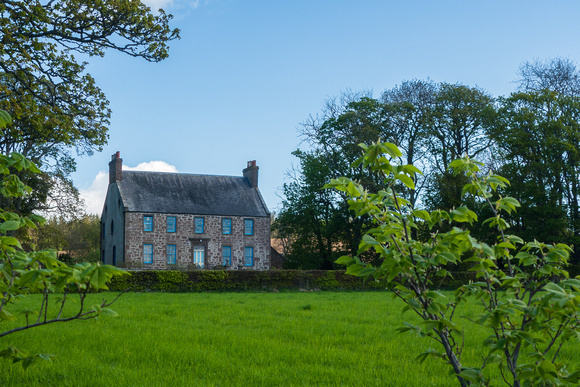 Once I hit the tracks, a long road trudge into Edzell ensued, arriving about 1:30PM. As I was walking through the main street thinking of food, I came across Rob, Jane and Gordon sitting outside the Panmure arms. Rob and Gordon had just ordered lunch, so I joined them for a meal of large proportions! Tasted good too, but my hunger may have contributed to my appreciation! After lunch we headed off along roads to the North Water Bridge campsite, a nice camping area with good facilities but unfortunately sited right beside a busy highway. None the less, I set up and slept well regardless of the noise and cold wind blowing. Day 13. North Water Bridge to St Cyrus. Up early, but not as early as Rob who was leaving just as I poked my head out into the daylight. Left with Jayne and a couple of other Challengers who were headed for Montrose. 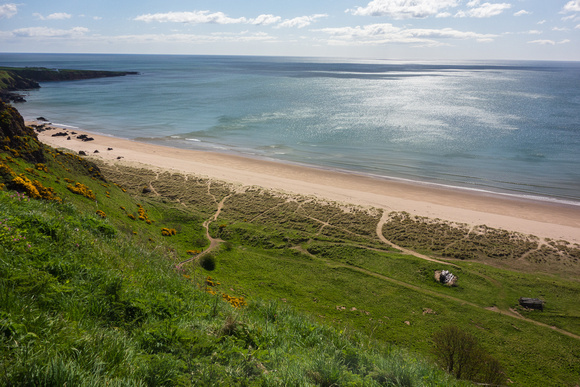 We were having a good chat about the Challenge when suddenly the others pointed at a turnoff we had just passed and informed me that if I were going to St Cyrus, I should take it! Most of my navigation mistakes are made whilst distracted so I was very happy that at least someone was paying attention and saved me a long backtrack. 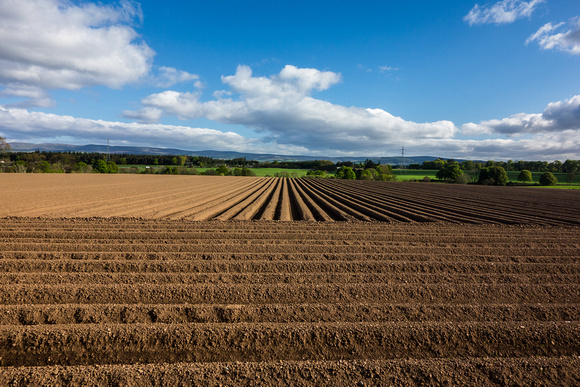 My route took me through picturesque rolling farmland to the coast. 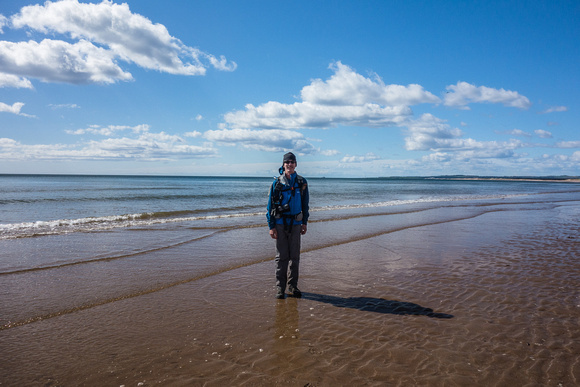 Walking through St Cyrus, I met Rob coming back from the coast, he had decided to go directly for the coast rather than the finish point he had selected some way further north. I arrived at the top of the cliffs and headed down, meeting a chap taking time lapse of people going up and down the paths to the beach. Reaching the beach, I walked to the sea allowing it to wash over my boots. My Second Challenge completed, and I was feeling a whole lot fitter than I had at the end of my first. The extra training I had done before leaving Australia (lots) and the extra breaks taken because my family were traveling across Scotland had made this a pleasant event and less of a physically demanding experience, although I would hasten to add that it was not ‘easy’. I looked along the beach and saw a couple of people walking towards me with backpacks. Wanting a photo of my finish, I decided to wait hoping that they were also Challengers. Lo and behold, they were Mick and Gayle. Their Challenge finish point was on a nearby point to avoid St Cyrus and they had found that to get back up to the road the easiest way was to walk down to St Cyrus. Anyway, photos were taken and we headed back up to the bus stop together, meeting Rob there again as he had stopped for a snack on the way. 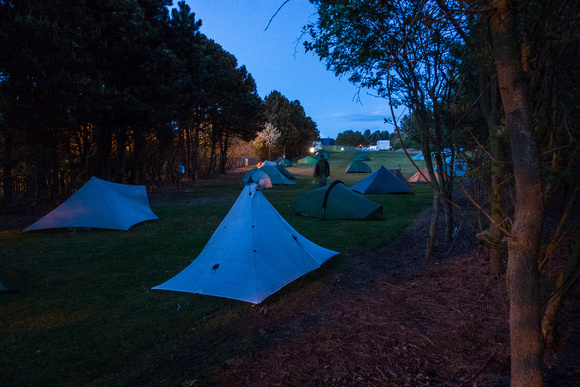 We were quickly transported to Montrose and walked through town to Challenge Control at the Park Hotel and in no time, I had signed out, collected my certificate and winning clobber and was back out the door on the way to the camp ground for my final night in the TrailStar. After setup and a nice (but 10 second press-button) shower, I headed into town and bought some fresh fruit, a couple of beers and some snacks and spent the afternoon lounging in the shelter. There was a stiff cool wind blowing so there was not much option. Within a few hours just about everyone I had ever met on this or the previous Challenge turned up and pitched their shelters. That evening, a bunch of us headed into town for a feast at the Indian Restaurant, good feed and good company! Back at the camp site, I ventured to the back of all the tents in the campground and set my camera to take a long exposure shot of the scene. As I was packing my camera away, I was challenged by someone who suspected I was up to no good (turned out to be Phil Werner of Section Hiker fame) Under the circustances, this was an understandable reaction to finding a character hidden in the bushes beside your tent in the middle of the night! I made my explanation and introduced myself and after a short chat we both sidled off to our shelters, it was late and we were tired. No walking today. I packed up in the morning and made my way into the Park Hotel where we had rooms booked and I would meet my family again. I no sooner dropped my pack in the foyer and found that the rooms would not be available for a few hours when my phone rang and the reunion began. My first domestic chore was to retrieve the vehicle and park it in the hotel carpark, then we had a lazy lunch and moved into our rooms. The Challenge dinner came and went, Challengers met and re-met. All good fun. I missed Roger Smith yet John Manning is a fine replacement as Challenge Organiser and the organisation of this year’s Challenge could not be faulted. In no time, we all departed and headed our different ways and my Challenge was over, again.